Are you a Weapon Contamination - EOD Specialist? Do you have a strong humanitarian motivation? ICRC is one of few organizations with the capacity to deliver all the activities around EODs, from clearance to mine risk education. ICRC is currently looking for qualified delegates to be in charge of the security and safety of their staff and to interact with the community. 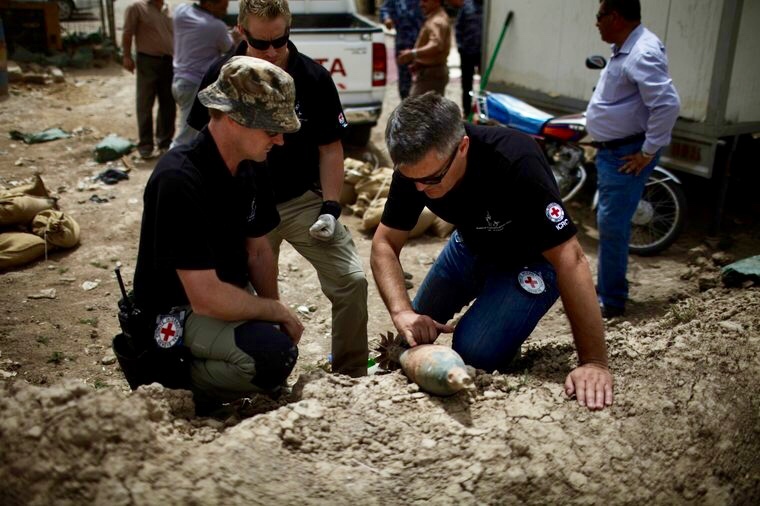 To learn more about this role, sign up for ICRC's and Impactpool's joint webinar about working as a weapon contamination EOD specialist. Join us for the webinar "ICRC Operational expertise on weapons " on Tuesday, November 14, 12.30 PM CET, Geneva time. How does the ICRC work and what challenges does weapon contamination pose to our operations? What expertise does the ICRC need when its operations are faced with weapon contamination? What does a transversal approach mean and how does multidisciplinary activities translate in an operational context? French, Russian and Arabic, an asset. When: Live November 14, 12.30 PM, CET. New date to be announced. Approximate duration: 1 hour, including time for questions. If you cannot attend the live event - Please be advised you will find a recorded version on this page as soon as possible after the webinar. To join the webinar, you will need to download a desktop app. ICRC is one of few organizations with the capacity to deliver all the activities around EODs, from clearance to mine risk education, while most groups/companies only specialize in one or two of these. Which means that the EOD specialist is really the "point de référence" within delegations when it comes to assessing weapons and the risk they represent. It's one big responsibility of the EOD specialist to be in charge of the security and safety of the ICRC staff and to interact with the community.